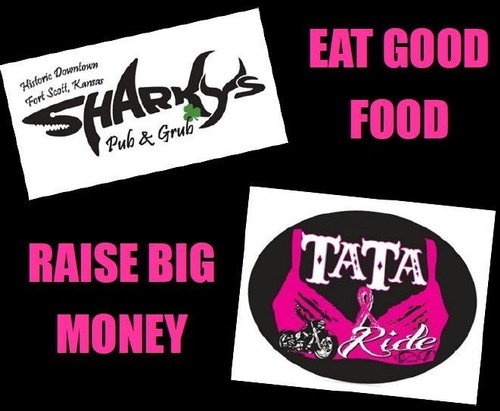 ALL DAY From 11AM to 10PM at Sharky's Pub & Grub, Fort Scott, KS- 10% of ALL Food Sales will be donated back to the 2019 TaTa Benefit Ride for Care to Share Cancer Support Group/The Sharing Bucket! Come on out and enjoy some GREAT Food for a GREAT Cause! !